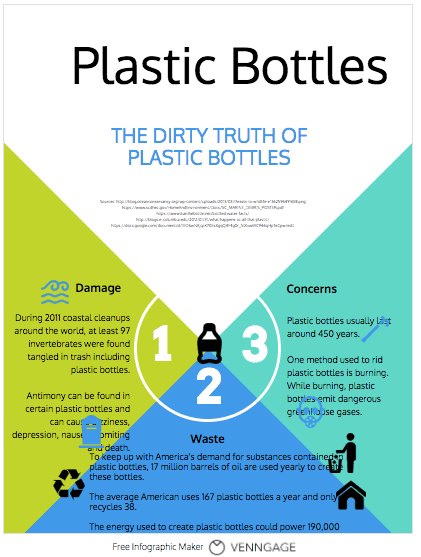 Make an Infographic to share the concerns you have around plastics. Each person will make his or her own infographic, and the group will decide on which one(s) to include in their public product. Here is the rubric for the infographic. 1. Identify the focus of your infographic. 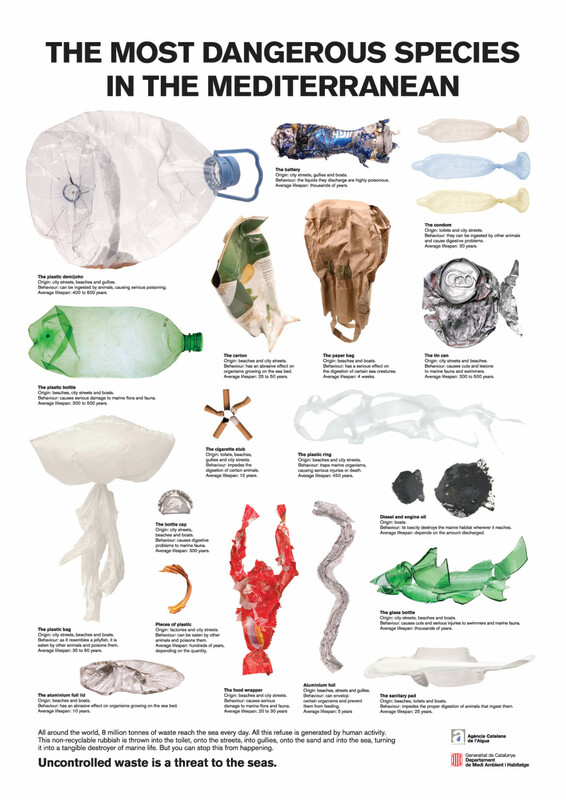 Some possible topics include plastic water bottles, human health, consumption, plastic straws, recycling & plastic in the ocean. Easel.ly, Piktochart, & Canva. Piktochart is very easy to use. Canva was a bit more challenging, but many of the infographics looked awesome! 4. Design your infographic. See student samples at bottom of this page. Everyone makes their own infographic using the shared data on your Infographic Research document. At least 3 pieces of information. Each should have it's own graphic. Sources. Include the website names (not URLs) or articles (include where you got the article, ex. National Geographic, September 2017). 5. Make your infographic public. Watch one of the videos below showing how to do that. 6. Upload link to Google Classroom. (Note: The screenshot scrunched up text. 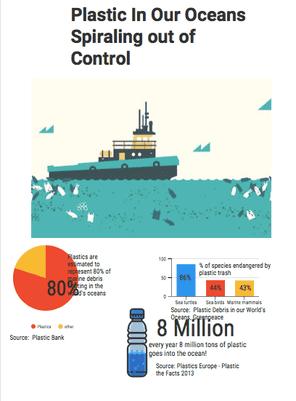 The actual infographic has a clean design.